Given that the under-representation of women and minorities in STEM is such a significant issue—not to mention the primary impetus for the Sloan Minority PhD Program—the above statement from Unoma Okorafor, Sloan Scholar from Texas A&M University, might be jolting. 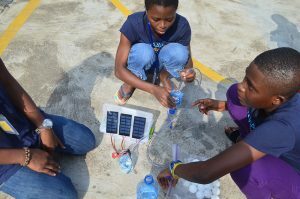 It is this holistic approach to education that Okorafor undertakes in her work with the nonprofit she founded, Working to Advance STEM Education for African Women (WAAW) Foundation, when she was a Sloan Scholar graduate student in electrical and computer engineering at Texas A&M University. 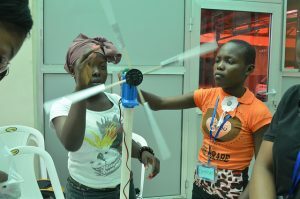 In addition to organizing and sponsoring STEM camps for girls in 10 African countries and providing coding workshops, outreach and training programs, and college scholarships, Okorafor talks about how she has found it necessary to educate not only the girls but also the surrounding community on why foundations like hers are needed. The lack of understanding of the barriers girls face because of their gender is the greatest challenge she has faced in her work. 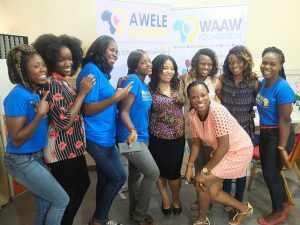 In fact, Okorafor recalls a response she received from “a well-known African gentleman” after a talk she gave on the WAAW Foundation, who said: “’I mean, your work is interesting, but I don’t know why you need to be doing it. Who is stopping the girls from [getting a STEM education]?’” He then listed a couple of women who served in government as examples of what women could accomplish on their own. Okorafor proceeded to list for him myriad and socially engrained barriers that disproportionately affect women and girls’ opportunities to advance: domestic violence, poverty, sexual violence, teenage pregnancy, unequal divisions of labor in the household, and the inability to own property in some African countries. Combating these kinds of critics—who essentially propose women and girls simply pull themselves up by their bootstraps while ignoring structural inequality that shapes opportunity and access—is essential to Okorafor’s work. Dr. Okorafor’s fight for gender equality also attacks the issue beyond the point of educational access. As the founder and CEO of Herbal Papaya, she leads a company where women hold all positions of leadership (10 percent of the company’s proceeds also go to the WAAW Foundation). It is important to her that women showcase their leadership skills not only to prove that they have the capabilities but also to serve as role models for other women. And, as she indicated in the previous quote, Okorafor believes it is just as important that diversity, and specifically women’s perspectives and intellect, be seen as resources—something to be sought out and cultivated—rather than symbolic additions to the workplace. Unoma Okorafor is a Sloan Scholar from Texas A&M University, where she completed her doctorate in electrical and computer engineering in 2008. She also has a master’s degree in electrical and computer engineering from Rice University. As a graduate student, Dr. Okorafor founded the Working to Advance STEM Education for African Women (WAAW) Foundation, which sponsors STEM camps for young girls in 10 African countries and provides coding workshops, outreach, training programs, and scholarships. 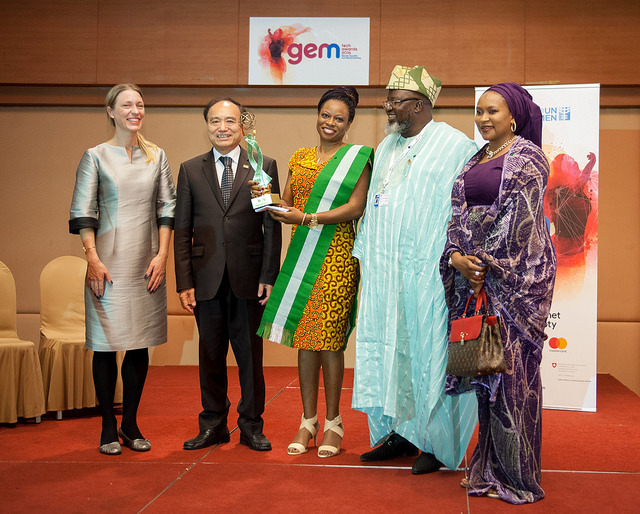 The WAAW Foundation won the GEM-TECH award in November 2016. Selected in part by UN Women, the award recognizes outstanding contributions in advancing gender equality and inclusivity in the digital world. For her work with the WAAW Foundation, Dr. Okorafor was selected as the recipient of the 2013 Change Agent ABIE Award, named by the Anita Borg Institute, a nonprofit organization dedicated to the advancement of women in computer science and engineering. She is also the CEO of Herbal Papaya, a company with the mission to “provide premium quality organic papaya products to support healthy living and impact our world.” All products are organic and from GMO-free papayas, which are grown using sustainable farming practices. She has worked at Texas Instruments, Intel, HP, and IBM and has been awarded National Science Foundation and American Association for University Women fellowships to support her research.